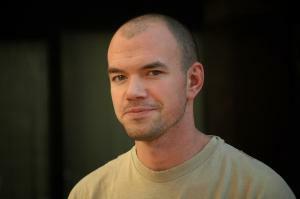 Tim DeChristopher came from an environmental background: He was born in West Virginia, and his mother was a strong opponent of the kind of coal mining that removes the tops of mountains. DeChristopher went on to study Economics at the University of Utah and also worked as a wilderness guide for troubled and at-risk youth. He always maintained a keen interest in the landâ€”how beautiful it was and how it was continually threatened by industry, principally oil- and gas-drilling companies. But little in his background could have prepared him for what happened on December 19, 2008. The bidding started, and DeChristopher saw a nearby friend weeping at all the land being given up to the corporate bidders intent on pillaging it for oil and gas. So DeChristopher decided to bid. He bid up each parcel higher than the companies wanted to pay and by the end of the auction had acquired 22,500 acres for $1.8 million. Not having any money to back that up, he was exposed as a troublemaker and the auction was halted. But DeChristopherâ€™s actions had protected the land. Soon after that, the Obama administration began, and Secretary of the Interior Ken Salazar dismissed the auction altogether, stating that the Bureau of Land Management had broken many of its own rules, including not accounting for climatological impacts before auctioning off public lands for energy development. In the meantime, DeChristopher had become something of a celebrity and found that he had a vast new audience for his ideasâ€”not only about preserving the environment but also about using civil disobedience to fight those who would despoil the environment. With the help of a university colleague, he founded Peaceful Uprising (www.peacefuluprising.org), a volunteer-based climate action group. And then came his indictment, arrest, trial, and imprisonmentâ€”for misrepresenting himself and for violating the Federal Onshore Oil and Gas Leasing Reform Act, both federal felonies. To outside observers, the process may well have seemed a sham. The prosecution delayed the trial nine times. The trial itself was almost comically lopsided. The federal judge dismissed all of DeChristopherâ€™s efforts at defense: The jury wasnâ€™t allowed to hear anything about the threat of climate catastrophe, the fact that the auction had been invalidated by the federal government, or the information that DeChristopher had subsequently raised enough money to make initial payments for the land. The trial drew supporters from around the country, who were furious when DeChristopher was convicted and, in July of 2011, sentenced to two years in federal prison. He wasnâ€™t released until April of 2013, and is now on a three-year probation. Itâ€™s prescient because DeChristopherâ€™s ideas and words did in fact lead many, many others to action: A month after the sentencing, 1,253 people were arrested while protesting the Keystone XL pipeline. It was one of the largest environmental protests in the U.S., and the coordinator of the protest, Matt Leonard, gave DeChristopher full credit: â€œTimâ€™s act helped break civil disobedience out of the domain of radicals and marginal activist culture.â€ Shortly after that, the Sierra Club reversed its century-old ban on civil disobedience and followed up with its own protests. Update: As of April 2013, DeChristopher is living in Salt Lake City, Utah, and working at Ken Sanders Rare Books while traveling and promoting the documentary about his arrest and incarceration, Bidder 70.